While commerce has remained a core function in society, the process and nature of the way people do trade has changed greatly throughout the centuries. In the Philippines, it all started with what we know as barter – a manual exchange of item per item, oftentimes without the use of money. Neighboring tribes in the country would use barter to trade items or services of equal value, such as 3 hours of labor for a meal. This changed in the 2nd Century AD, upon the arrival of the Chinese as the first foreign traders in the country. Local products were exchanged for corals, gold, cotton, and pearls, some of which can be considered early forms of currency. 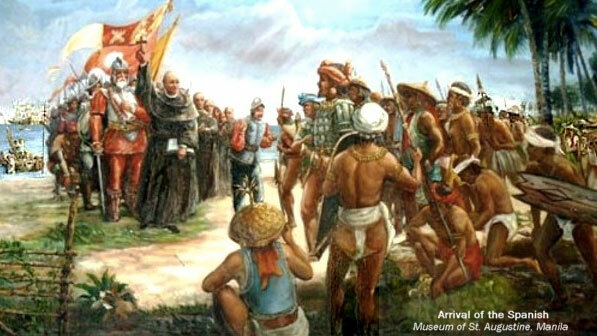 In 1565, the Spaniards marked their first settlement in Cebu when they sought to acquire a share in the lucrative spice trade. It was during this same period that the Royal Company of the Philippines was abolished, making Manila an open port for global traders. This welcomed business from all corners of the world, dubbing the Philippines as the center for commerce in the East. During the American period, a distinct advantage that Filipinos gained was access to education. No longer reserved for the privileged, education and a grasp of the English language propelled even the average Filipino further forward into the trade market, allowing him to sell local crops and goods to foreign bodies. Through years of exposure in both local and foreign trade, the modern-day Filipino was born with an entrepreneurial spirit; according to research, millennial entrepreneurs have launched at least twice as many businesses compared to their Baby Booming predecessors. In fact, 55% of millennials in a local study indicated owning a successful business and reaching financial independence as an important value in their lives. Lucky for this generation, they are equipped with a highly distinct tool that allows them to fulfill their entrepreneurial aspirations – the internet. The internet has changed the way people live, think, and do business. With the emergence of e-commerce, international trade became possible on an individual level. The definition of a free market has found itself in its truest form, with sellers at liberty to position their own products and pricing, and consumers at free reign to choose what they buy. In 2012, e-commerce was made known to the Philippine landscape through the entry of a company named Lazada. In the beginning, Lazada sold goods to Filipinos from its own warehouses. After just a year of operations however, the business model evolved into a marketplace, inviting third-party brands, retailers, and individuals to sell on the site. Today, the e-commerce giant enjoys market leadership in Philippine e-commerce, with a significant portion of its sales brought in by marketplace deals. A key factor that has allowed Lazada to maintain its position as market leader is the convenience it provides not just to buyers, but also to sellers. It is a one-stop shopping and selling destination that makes it easy for Filipinos to trade across cities, across the archipelago, and even across the globe, all with a few simple clicks. Through this, it may be said that Lazada has paved the way for many Filipinos to fulfill their dreams of entrepreneurship, and reach financial independence. While competition in the e-commerce playing field is tough, Philippines’ CEO Inanc Balci remains confident of the future. “In every way possible, we will continue to evolve the company and be the market leader for years to come. It is one of my life goals to make the Philippines a top e-commerce company in the world”. Lazada (www.lazada.com.ph) is Philippines’ largest online shopping mall and is pioneering e-commerce by providing a fast, convenient and secure online shopping experience combined with an extensive product offering in categories ranging from mobiles & tablets and consumer electronics to hous ehold goods, toys, fashion and sports equipment.